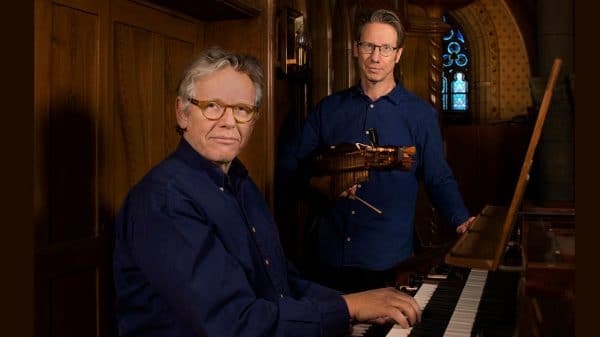 Olov’s vigorous and swinging Nyckelharpa-playing together with Anders’ amazing arrangements and responsive playing on Baroque Organ and Piano has grown together and refined over the years. It’s swinging, mighty, and full of finesse, surprises and humor. 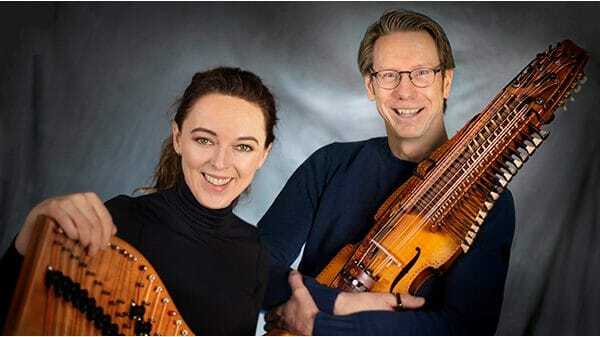 Two of northern Europe’s leading harpists – one playing the Scottish Harp and one the Swedish Nyckelharpa. Catriona & Olov met in 2002 when Väsen and Fiddlers Bid shared a concert in Stockholm. A new sound was experienced that had to be explored further! 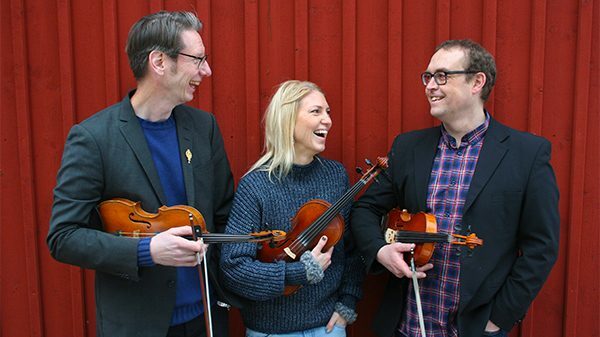 Olov Johansson, Robert Larsson and Erika Lindgren Liljenstolpe are old friends from the Uppland region but their first recording MASKIN was released in June 2017. 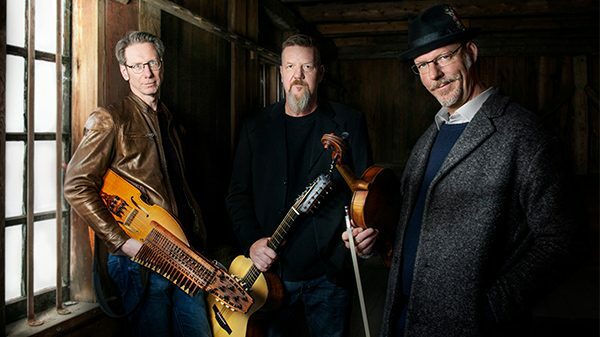 They offer sparkling fiddle playing in the Uppland tradition.